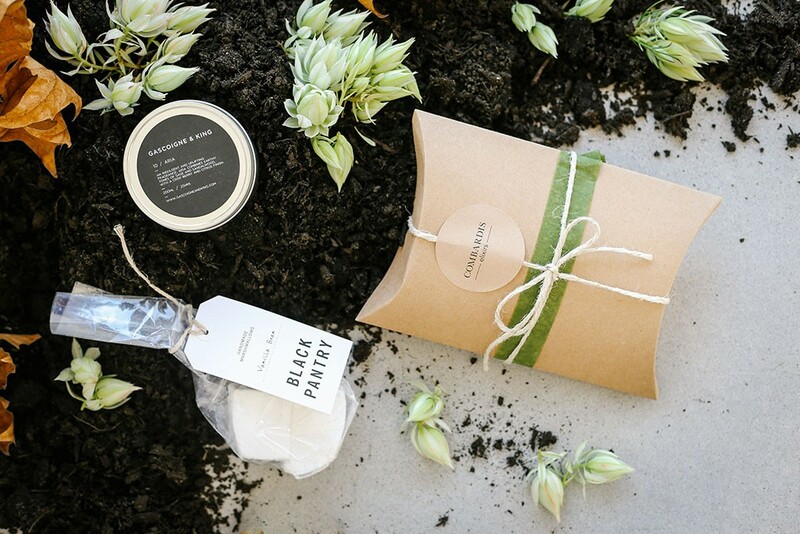 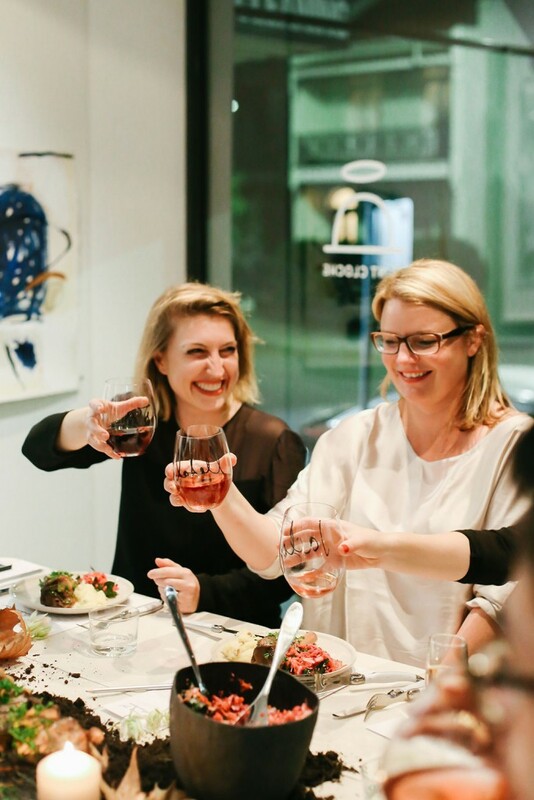 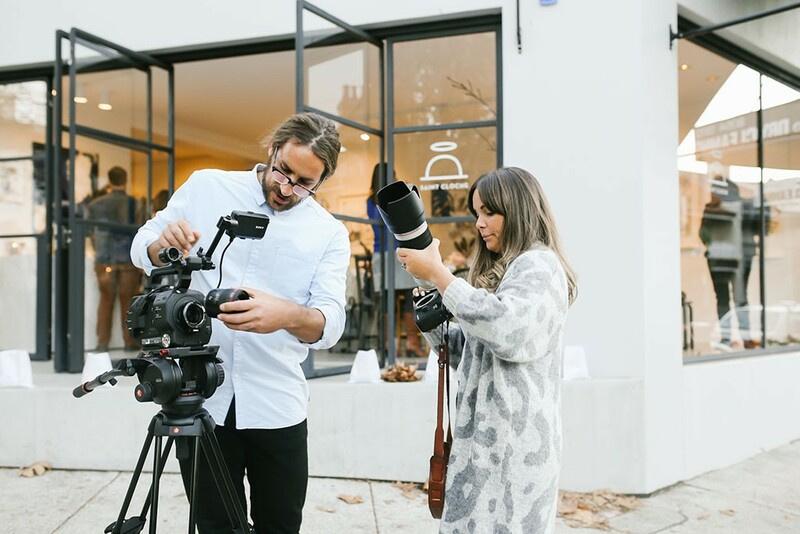 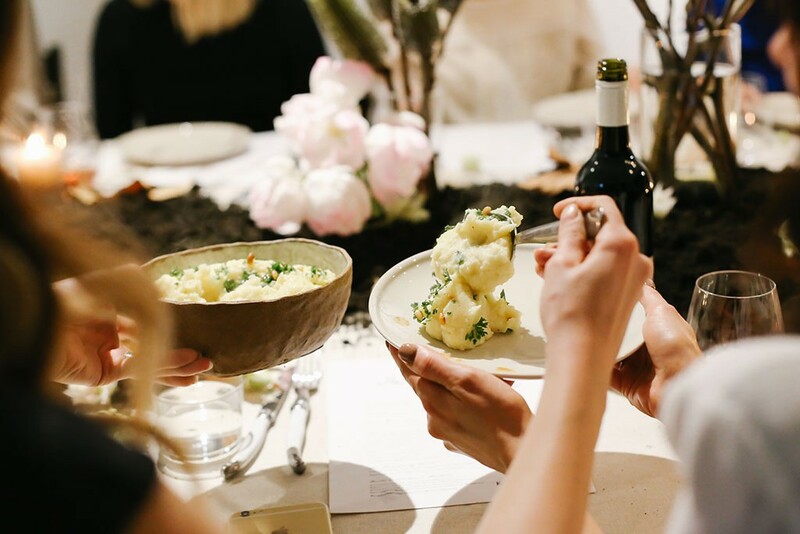 It was an honour to host the latest Kinfolk Dinner gathering together with Natalie Haylar, the Founder & Editor of eat read love and the Sydney host for the KINFOLK Magazine community gatherings and dinner series, styling extraordinaire Lisa Madigan and blogging guru Jaclyn Carlson from Blog Society. 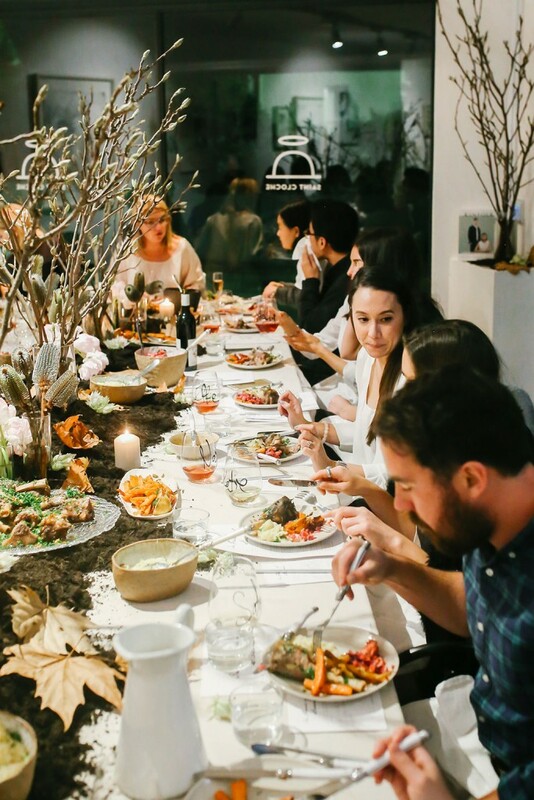 Guests were invited to this soulful Sunday gathering for a long supper, a time to slow down, unwind, contemplate & be present. 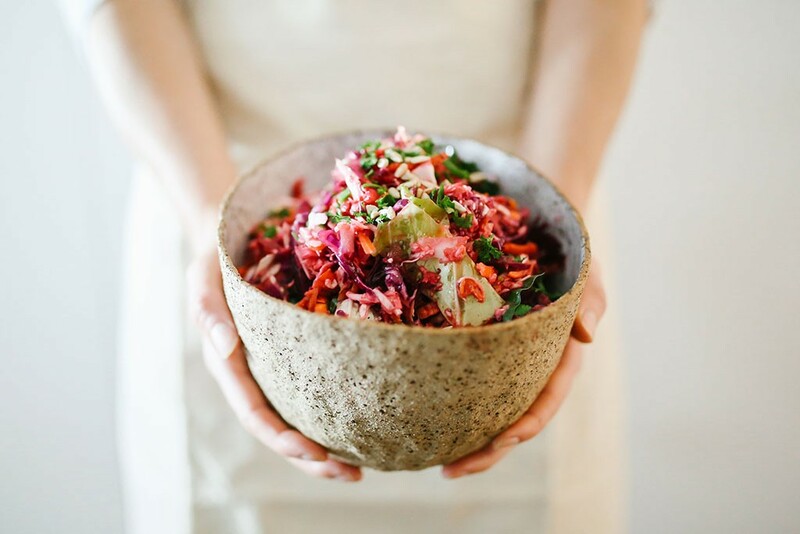 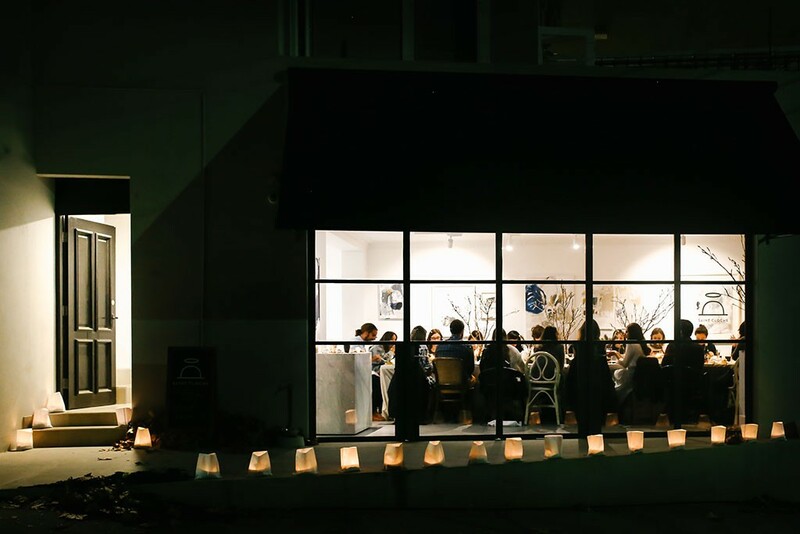 It was an opportunity to connect with like minds, feast on delicious, thoughtfully prepared produce, soak up a grounded & languid environment & experience some of the positive influences of slow living. 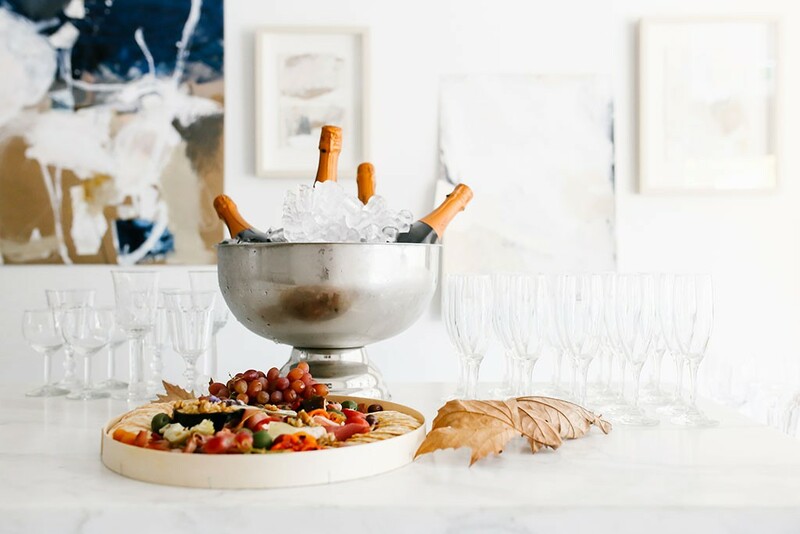 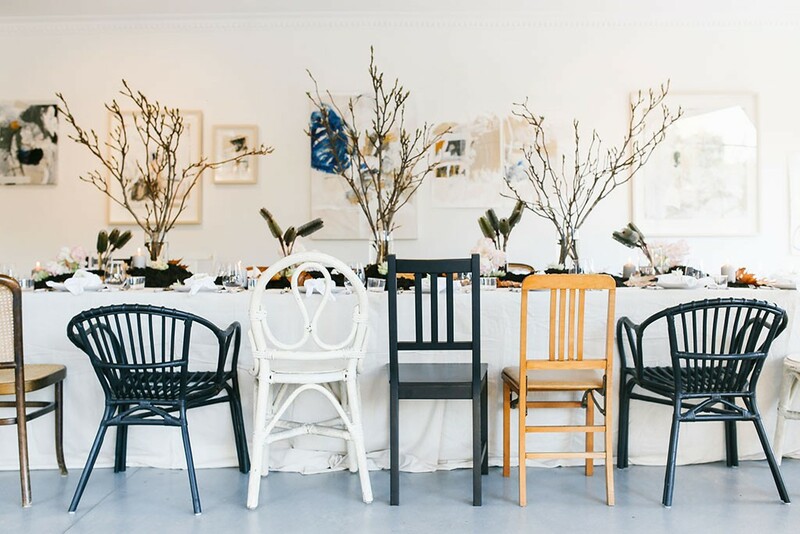 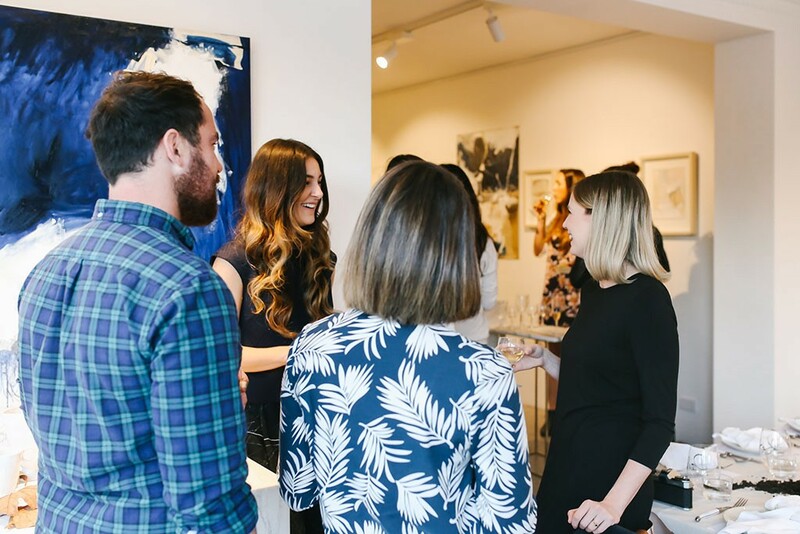 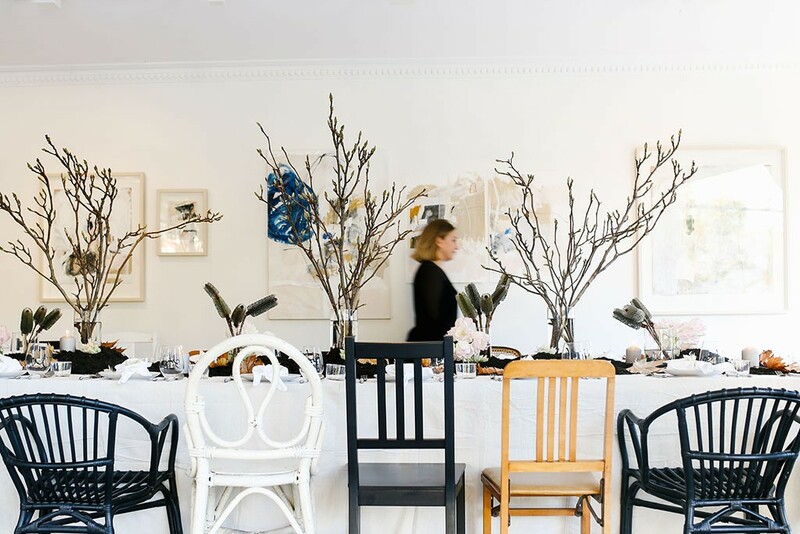 After a small Slow Living Workshop, guests were treated to a delicious three course long table sharing feast prepared by Chomplife, surrounded by beautiful artworks from Monique Lovering and Ceramics by Tara Burke for their recent duo show, HOME. 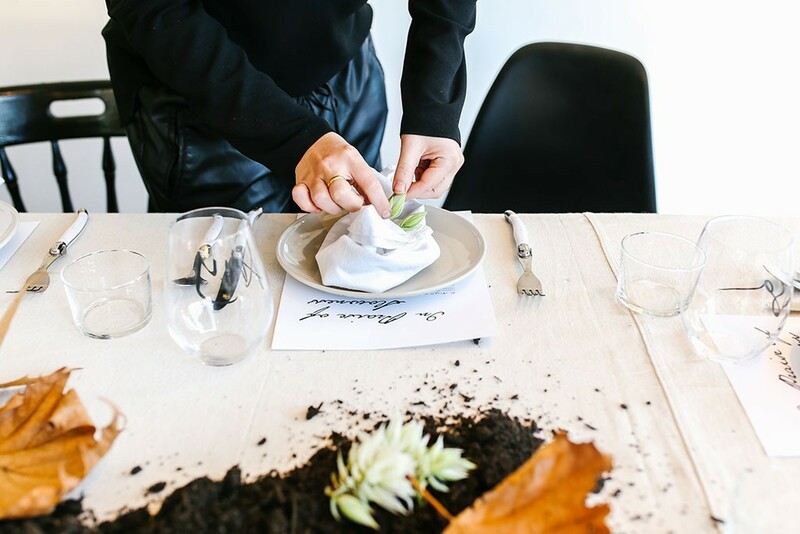 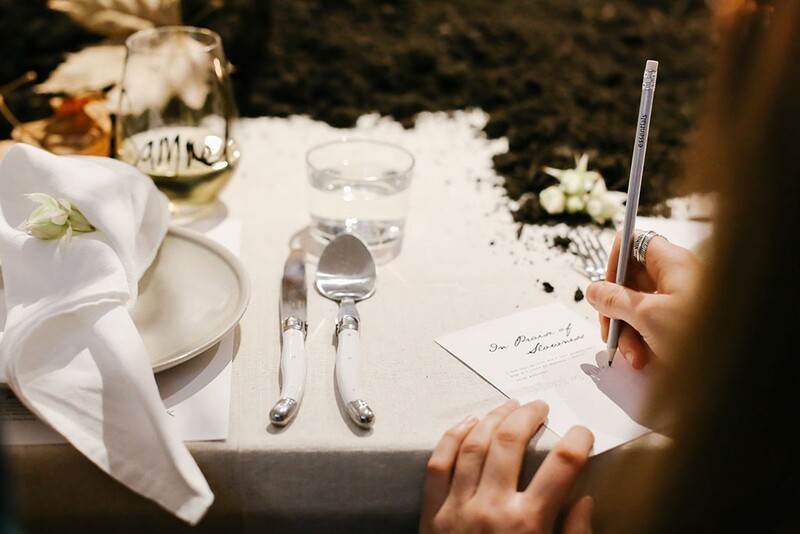 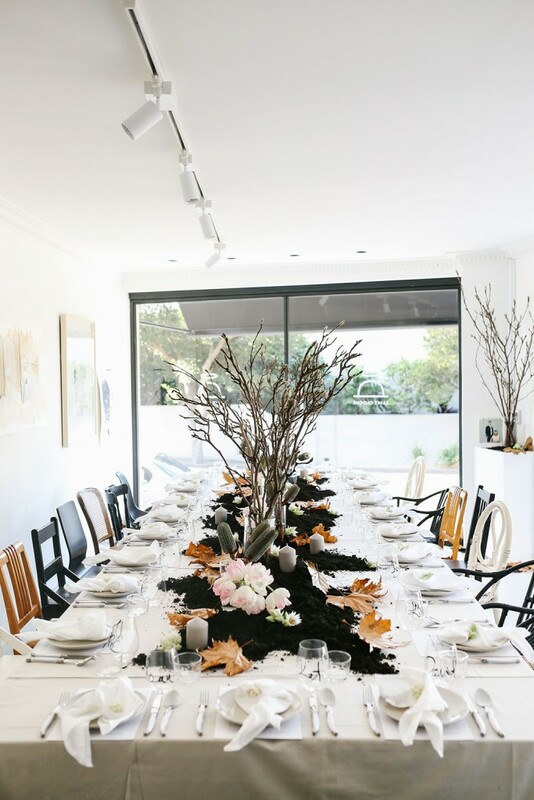 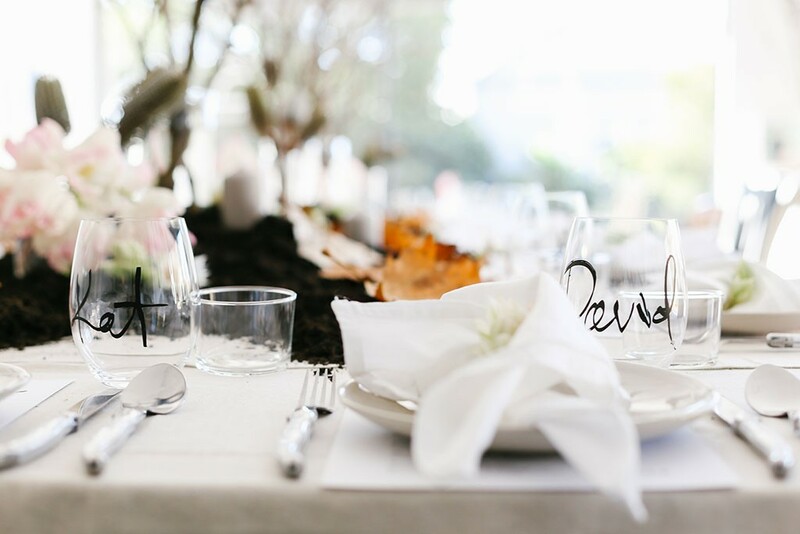 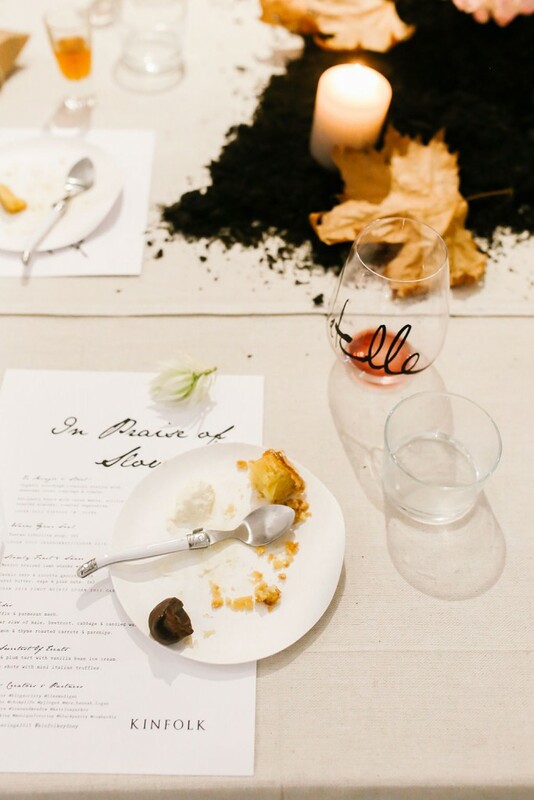 Lisa Madigan brought the earth to our table with a lush centrepiece of soft dirt and leaves, mis-matched chairs and soft candles. 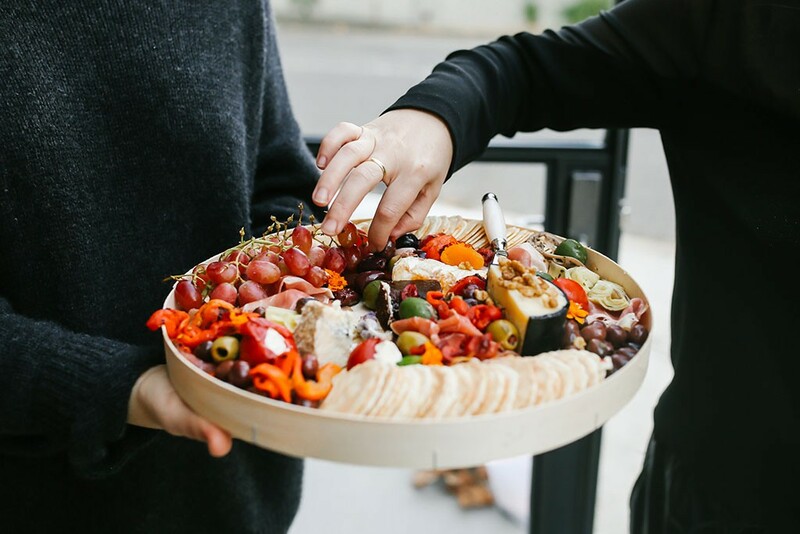 Her delicious winter feast was served in gorgeous handmade ceramics by Tara Burke. 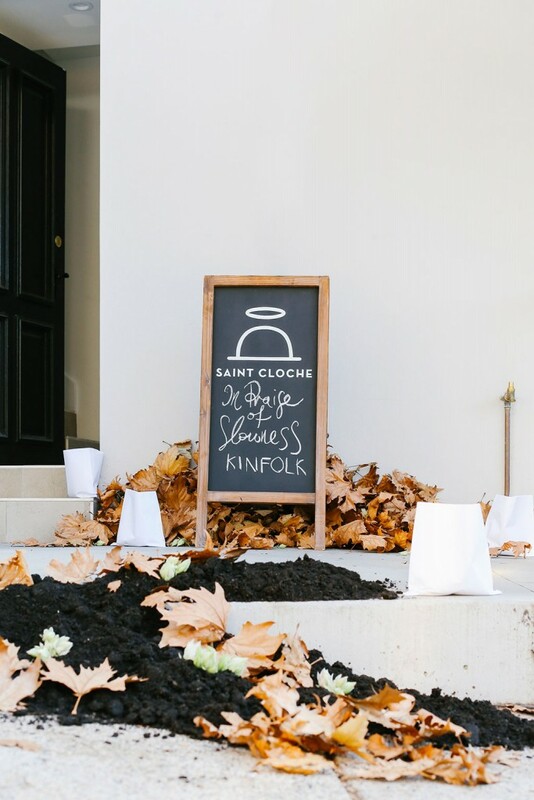 Saint Cloche agrees. 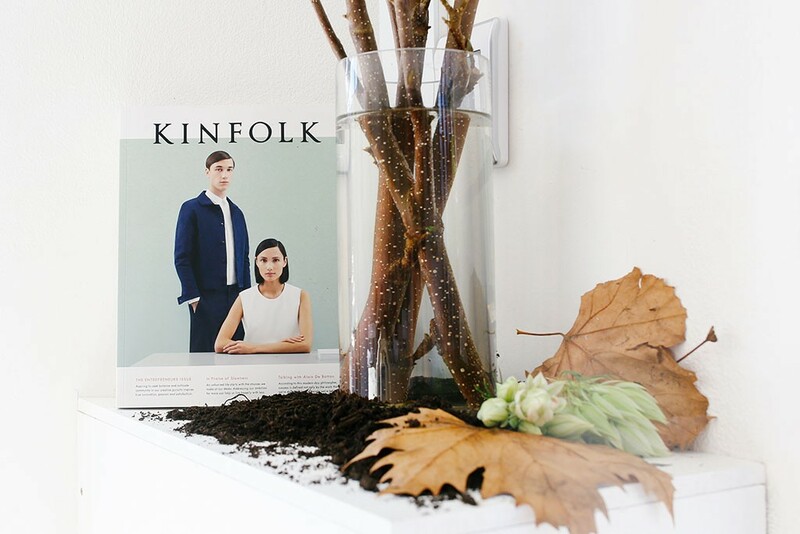 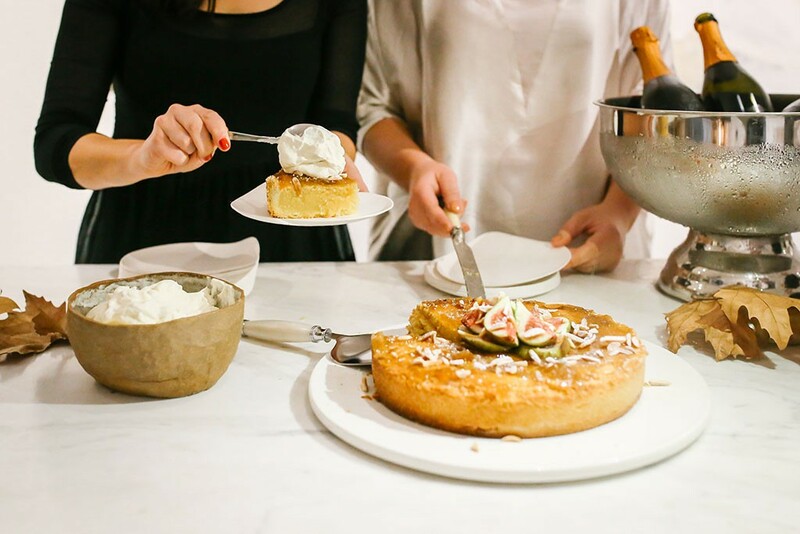 In what was an atmospheric and gentle evening, friends of Kinfolk gathered together to enjoy elements of life that are close to our heart – good food, art, friends and conversation. 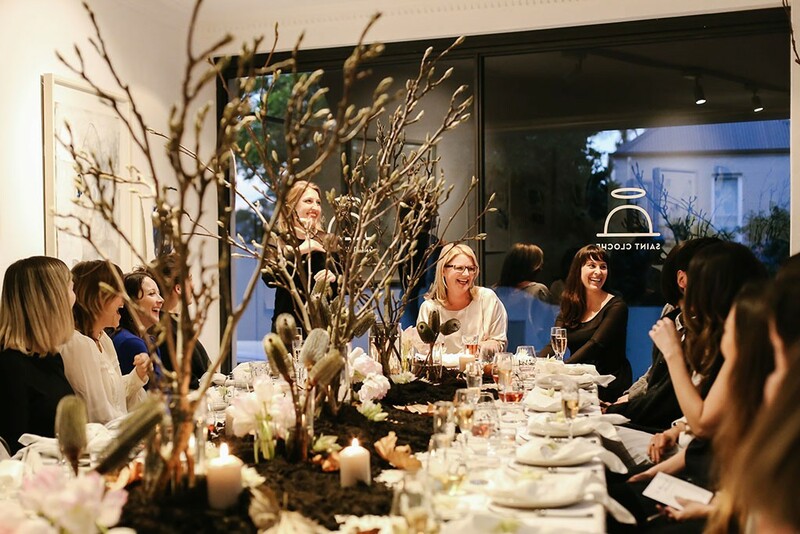 Monique talked about her time in Sicily, Southern Italy and the inspiration behind her work and how sharing this warm soulful feast reminded her of the generosity of the Italian table. 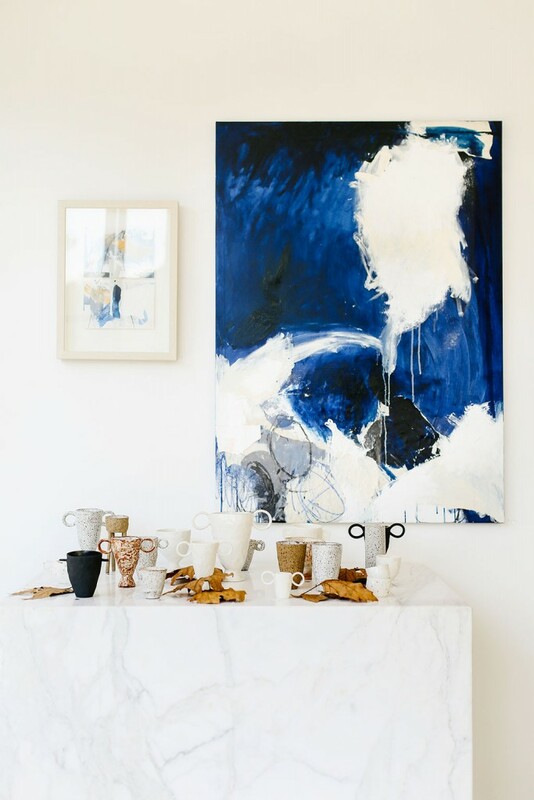 Tara talked about her ceramics and time spent exploring the vast terrains of the Royal National Park. 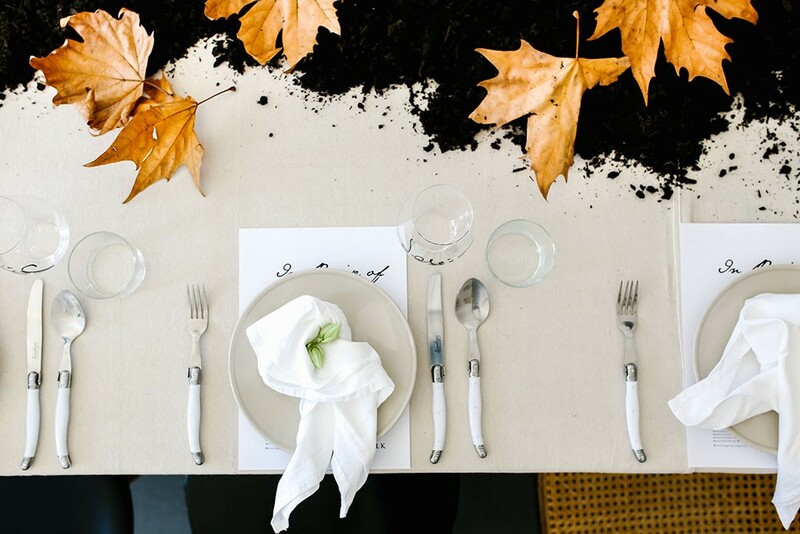 The dinner wandered long into the Autumn evening, and I think I speak for everyone when I say that it was a night in which we all let ourselves linger in the moment.